​Barcelona will not pursue the signature of Carlos Vela as they continue their search for attacking reinforcements in the January transfer window. The departure of Munir El Haddadi to Sevilla has left La Liga champions short of depth in their striking ranks, with only Luis Suarez remaining as a recognised senior centre forward at the Camp Nou. Parecía imposible o poco posible. Hoy...¿una realidad? Ernesto Valverde’s side have subsequently been linked with numerous attacking targets to provide cover for the Uruguayan superstar. Former ​Arsenal forward Vela has been linked with a move to fill the attacking void but, according to ​Mundo Deportivo, the Mexican will not be pursued by ​Barca. The 29-year-old currently plays for Los Angeles FC and has scored an impressive 14 goals in 28 MLS appearances for his side, having moved to the United States last year. The former Arsenal prospect is well accustomed to La Liga, having spent six years with Real Sociedad after enjoying a previously successful one-year spell in Spain on loan from the Gunners. Vela notched 69 goals in 252 La Liga appearances during his time with the Basque side but, according to the report, Barcelona will not make a move for the Mexican due to concerns over his ability to provide a ‘guaranteed’ goal scoring threat. 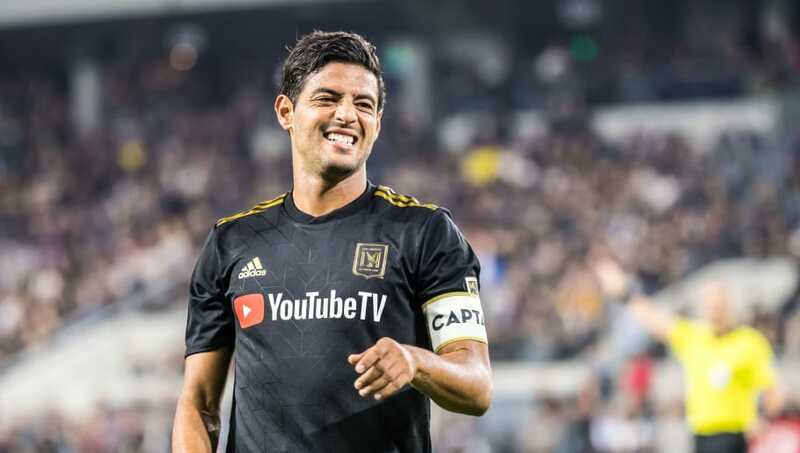 It is suggested that Valverde’s side have reservations over Vela’s ability to make a competitive return to the top level in both La Liga and the Champions League, having spent time in the less intense environment of the MLS. ​Chelsea striker Alvaro Morata is also said to have been among Barcelona’s list of targets, though the former ​Real Madrid star is ​reportedly closer to joining La Liga rivals ​Atletico Madrid. Barca are, though, in search of a striker who has similar previous experience of the Spanish top flight, with ​Tottenham’s Fernando Llorente another option. The Spurs forward previously starred under Valverde at former club Athletic Bilbao, though the report notes that ​Harry Kane’s injury setback would make a deal for the Tottenham outcast unlikely. It is suggested that any potential arrival at the Camp Nou this month would have to be on a loan deal, with the Catalan giants operating on a limited budget in the current transfer window.